You can get the Echo Plus with a free Hue bulb for $100 and and the Echo Show for $130. Amazon's smart devices are among the most popular on the market, especially if you're looking for easy home control. Today, Amazon is making them even more attractive with some deep discounts: The Echo Plus is down to $100 and comes with a free Hue bulbRemove non-product link, a savings of more than $80, while the Echo Show is $100 off its $230 list priceRemove non-product link—the lowest prices we've seen since the Prime Day blowout. The Echo Plus is a hands-free smart speaker built to serve as a hub for your smart home setup. It looks just like a metal version of the classic Echo, but it has a built-in ZigBee smart home hub for simple and direct setup of compatible lights, locks, plugs, and in-wall switches. You'll be able to connect a wide variety of devices, from TVs to light bulbs without additional hubs, and control them all using your voice. And, as an extra benefit, this speaker comes with a Philips Hue A19 white bulb, which sells for $15 on its own. The Echo Plus isn't our favorite Echo—we gave it just 2.5 stars out of 5. we found the sound quality a little lacking and don't like that the hub function won't support Z-Wave devices. That said, especially at this price, this speaker is a pretty solid starter hub, and that bundled bulb only sweetens the deal. If you are looking for the very best Alexa device, look for further than the Echo Show, which has been discounted to $130. The Show brings the usual voice support but comes with the added benefit of a built-in 7-inch screen. In addition to more traditional Alexa functions, such as making calls and checking the weather, you'll also be able to see photos and video right on the device itself. Once connected to other devices, you can also use it to watch your security camera and doorbell feeds. The Echo Show is one of our favorite Alexa devices, giving it 4 stars out of 5 because of that convenient screen, intercom functionality, and the added boost it gives Alexa with a visual element. With $100 off its usual high price, it's hard to pass up. 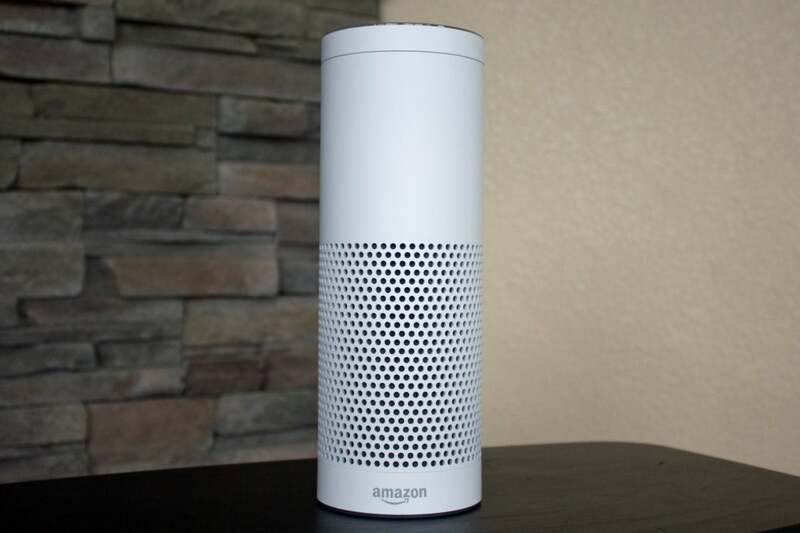 If you're still not sure which Echo fits your lifestyle, check out our handy Alexa smart speaker buyer's guide.